Peoples living in the Amazon jungle have been using rosewood for centuries. In particular, the Brazilians say they combine rosewood oil with other oils and use the blend to treat various skin conditions. On its own, the oil is used to treat impotence. The French call it ‘bois de rose‘ and say that it helps relieve stress, sexual issues, and respiratory problems. The global demand for rosewood oil didn’t really kick in until the 1900s, but in Brazil, rosewood trees and rosewood oil have been a big part of the rich local culture for centuries. However, thanks to an increasing demand for rosewood, abuses of rosewood forests have been brought to the forefront in the last twenty years. This interesting essential oil has some powerful chemical components, which are also found in a variety of other essential oils that treat similar physical and mental ailments. For example, myrcene, limonene, linalool, and 1,8-cineole found in rosewood oil are common chemical compounds found in other evergreen species, as well. 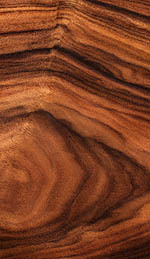 The camphene, geraniol, neral, geranial, a-pinene, benzaldehyde, and a-terpineol in Brazilian rosewood trees are also found in other species. Benzaldehyde is not always found in evergreens, but it is found in almonds, apples, apricots, and cherry kernels. It’s this compound that gives those essences a slight almond aroma. Rosewood oil is extracted from the wood chips of the rosewood tree by steam distillation. The therapeutic properties of the oil are tonic, antiseptic, stimulant, and antibacterial. This means that minor cuts, wounds, and insect bites can heal faster when rosewood essential oil is applied to the area. When the oil is used in aromatherapy, depression, sadness, and disappointment seem to lift and lessen. Rosewood oil interacts with several hormones, functioning as a stimulant that gets the internal systems running properly, which means indigestion, acid and bile build-ups, and poor circulation issues vanish as the chemicals in the oil rejuvenate damaged cells and tissue. In vapor therapy, rosewood oil helps to relieve coughs, headaches, nausea, and nervous tension, as well as infections. When rosewood oil is added to floral oils to make skin lotions, wrinkles begin to fade, and the skin has a healthy glow after just a few treatments. One of the most important uses for rosewood oil is as a tonic to treat nervous tension. Rosewood oil lowers the anxiety level, clears confusion, strengthens focus, and balances female hormones. Stress-related allergies diminish, and in some cases disappear altogether when the oil is used in aromatherapy products. Rosewood oil blends well with bergamot, orange, neroli, rose, grapefruit, geranium, palmarosa, lime, lemon, jasmine, and lavender oils, and is found in lotions, tonics, and creams designed to treat skin cell degeneration as well as muscle and joint pain. The rest of the world used to wonder why Brazilians had smooth skin, easy dispositions, and a carefree lifestyle. The answer is obvious now. It’s not the water; it’s the rosewood oil…well…maybe. This entry was posted in Essential Oils and tagged aromatherapy, Essential Oils, nerve tonic, rosewood essential oil, rosewood oil on December 13, 2009 by Keith Cleversley.